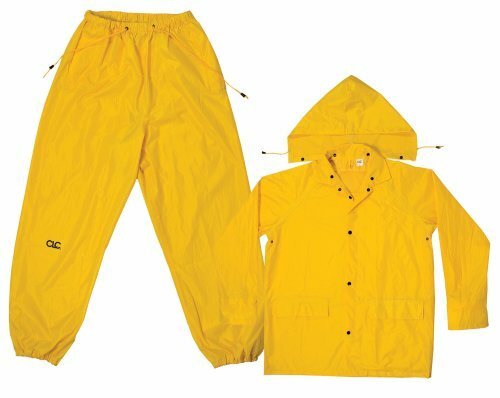 Our deluxe quality 3-piece polyester rain suit with jacket, drawstring pants, and a detachable hood. Drawstring Elastic Waist Pants For Comfortable Fit. Rear Mesh Panel For Breathability. Constructed with Lightweight Durable Polyester.